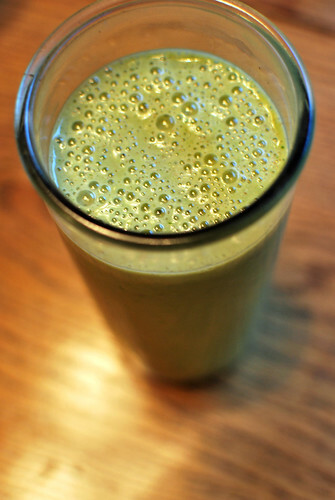 For the last few months I have been back on my green smoothie kick. I have been having one for breakfast almost every day. I have it down to a science now. I started adding the chia seeds and the nut butter for some protein and staying power. I also wanted to show a few shots of the garden so far. 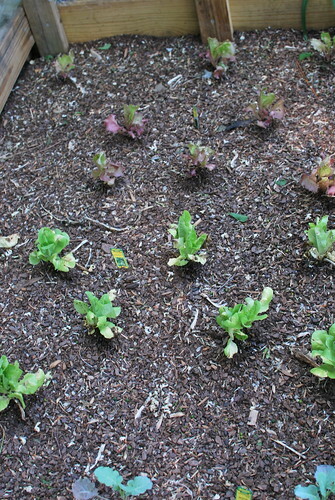 Here is some lettuce that my husband planted. 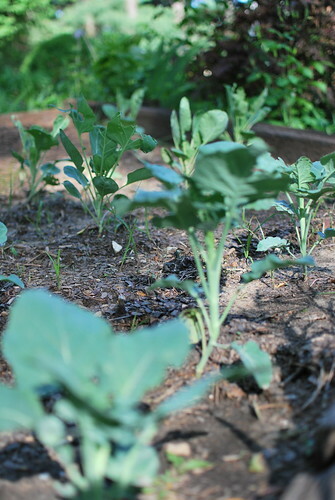 Broccoli and brussel sprouts, which REALLY need to be weeded. 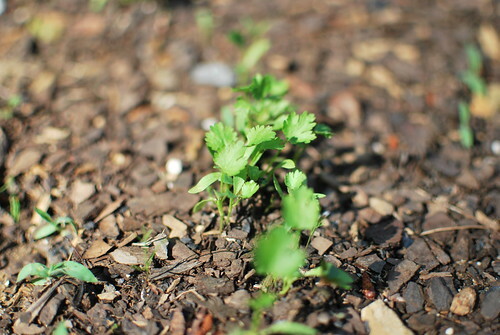 A little bit of cilantro too. Just to add a little bit of color. 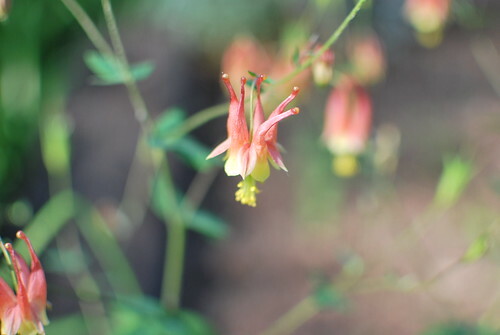 Here is some wild columbine. I took all of these shots yesterday so as you can tell everything survived all the rain. I can't believe that nothing was washed away. So glad that your garden survived! I haven't planted yet...I'm just waiting to see if we get a frost. Usually it is safe after Mother's Day. Well arent you a healthy smoothie drinker?! Good for you. Im so glad your hard work in the garden didnt get washed away in the floods. Thank you, thank you, thank you. 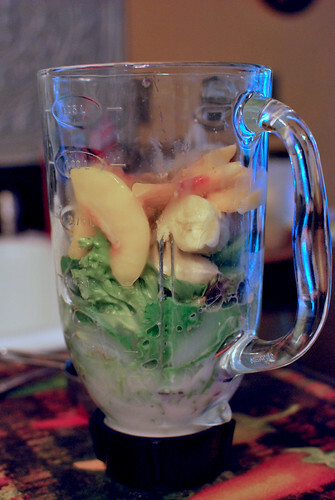 I remembered that you use to blog about smoothies and I was actually thinking about them the other day. I will be making this one. 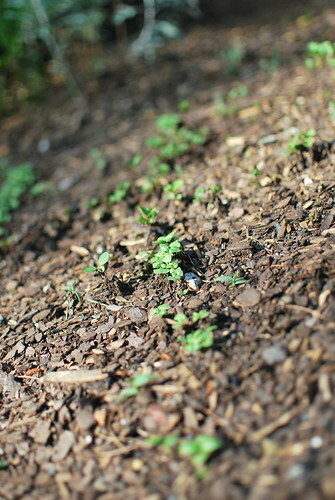 I also need to put my herbs in the ground. I bought some blueberries this year, but I'm told they won't bloom until next year. I remember how pretty your were last year.